← To touch, or not to touch? 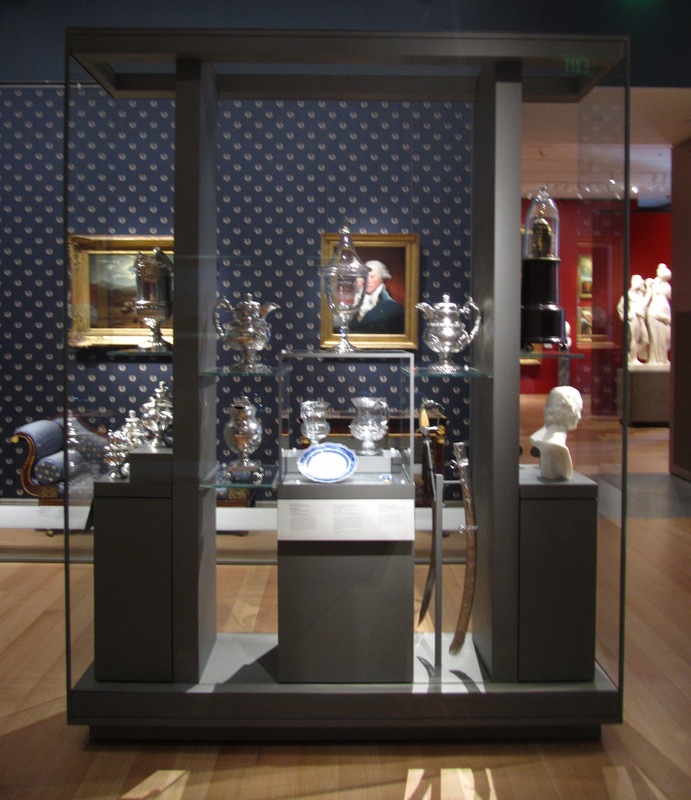 "Salon: Americans on the Grand Tour" gallery, Art of the Americas wing, Boston MFA. Photo by the author. 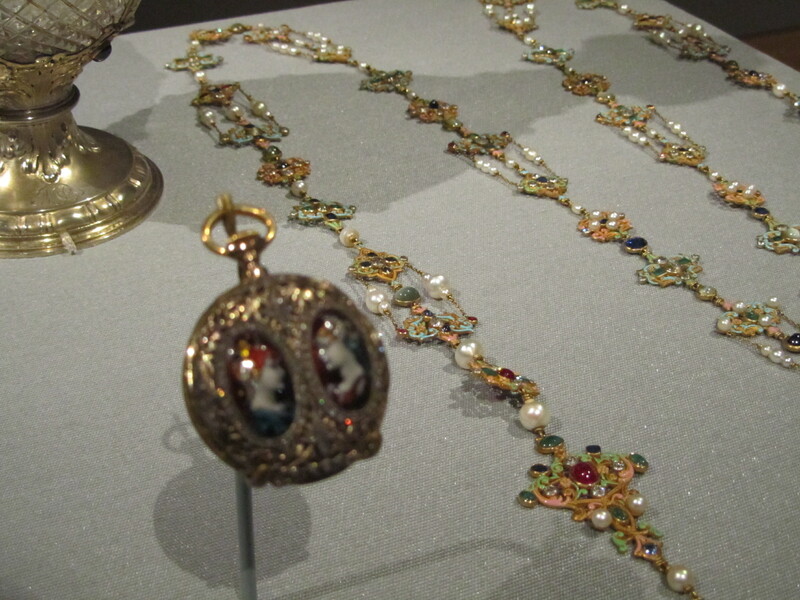 Last week I visited The Art of the Americas Wing at the Museum of Fine Arts, Boston, and I was delighted by what I saw. I traveled with several Milwaukee colleagues as we prepare for upcoming installation projects at the Museum. 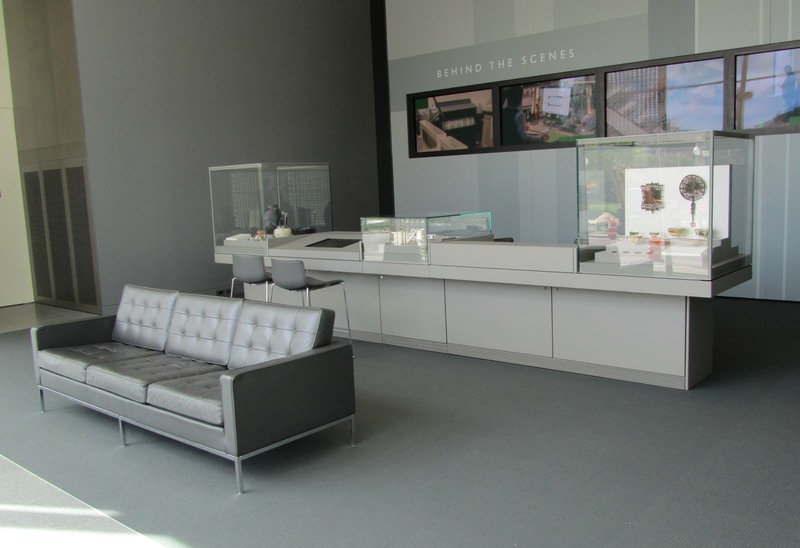 I was delighted to visit old “friends” in Boston’s rich American collection, I was thrilled to experience Norman Foster’s cool and elegant architecture, and I was grateful that several MFA curators took time to discuss the project in detail. 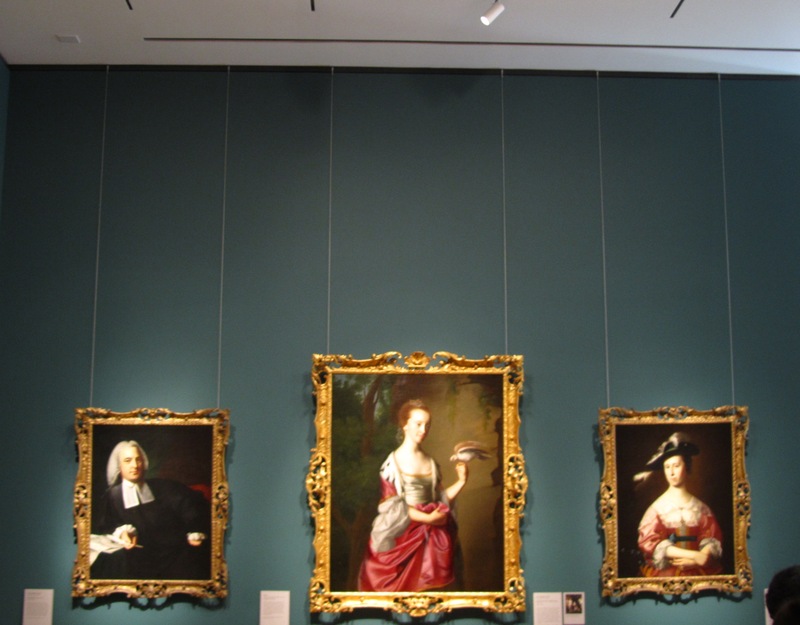 Acclaimed by everyone as a smashing success since its opening in November 2010, the Boston MFA’s $504 million, 121,307 square foot addition reorganizes the American art collection into 53 varied galleries. I found it an academic and sensual pleasure. 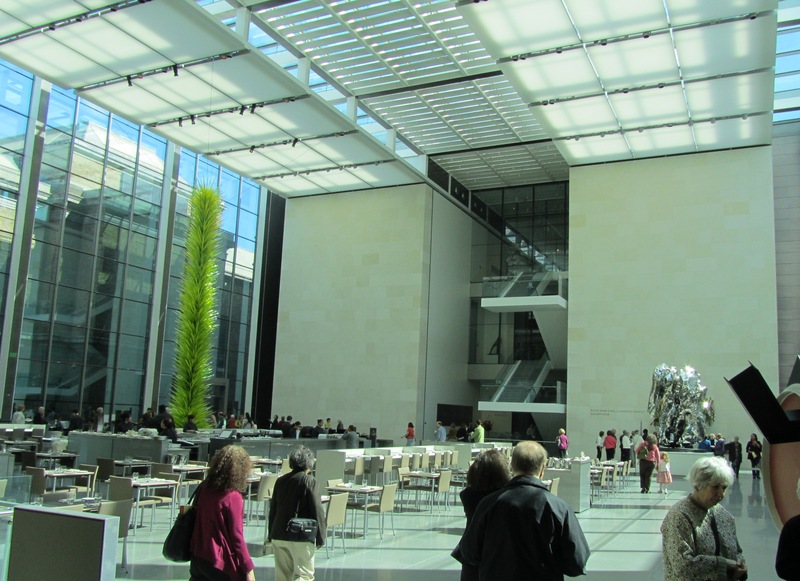 Visitors approach Boston’s new Art of the Americas wing through a soaring glass courtyard. As a visitor, I enjoyed the spaciousness and a place to people-watch, especially since there was a cafe and places to sit. On view was a glass sculpture by Dale Chihuly (the green tower at left), similar to the Chihuly glass sculpture installed in the Milwaukee’s Calatrava-designed Windhover Hall. There was also Zhan Wang’s Artificial Rock (crumpled metal at lower right), which was for me a preview of the artist’s work in preparation for Milwaukee’s upcoming On Site: Zhan Wang installation opening on June 11. Shapiro Family Courtyard, Art of the Americas wing, Boston MFA. Photo by the author. 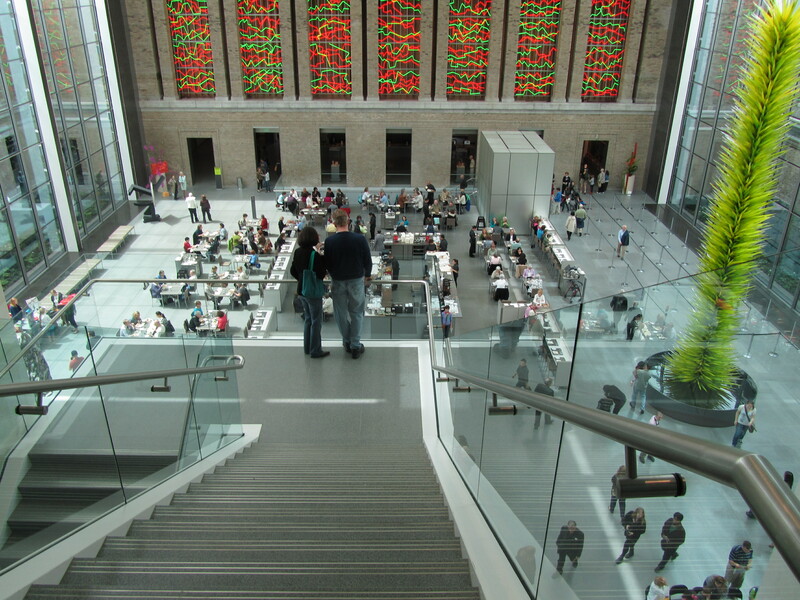 View from 3rd level down to Shapiro Family Courtyard, the Art of the Americas wing, Boston MFA. Photo by the author. 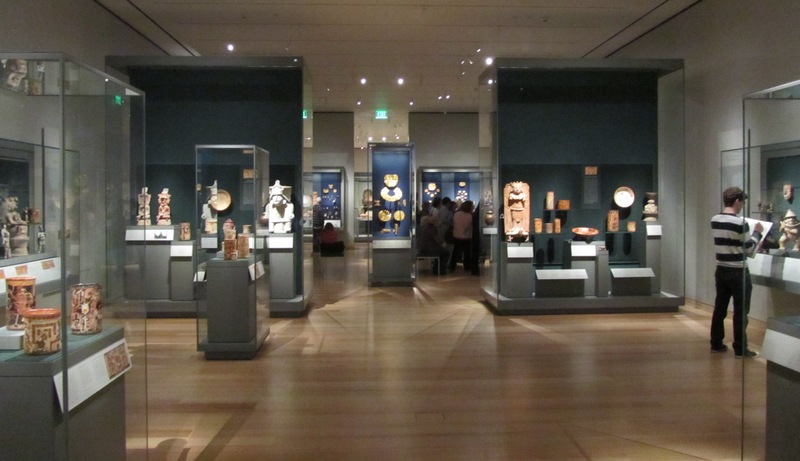 Ancient Central American gallery, Art of the Americas wing, Boston MFA. Photo by the author. 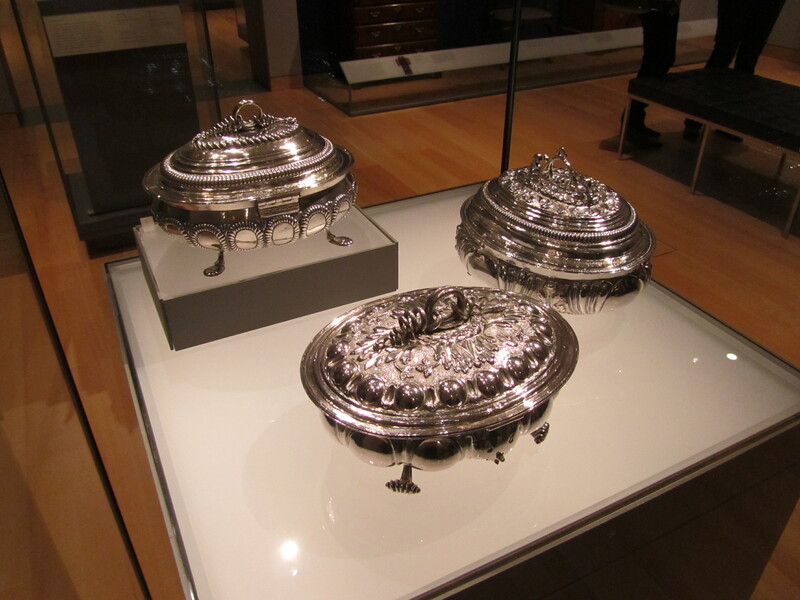 Colonial Boston gallery, the Art of the Americas wing, Boston MFA. Photo by the author. 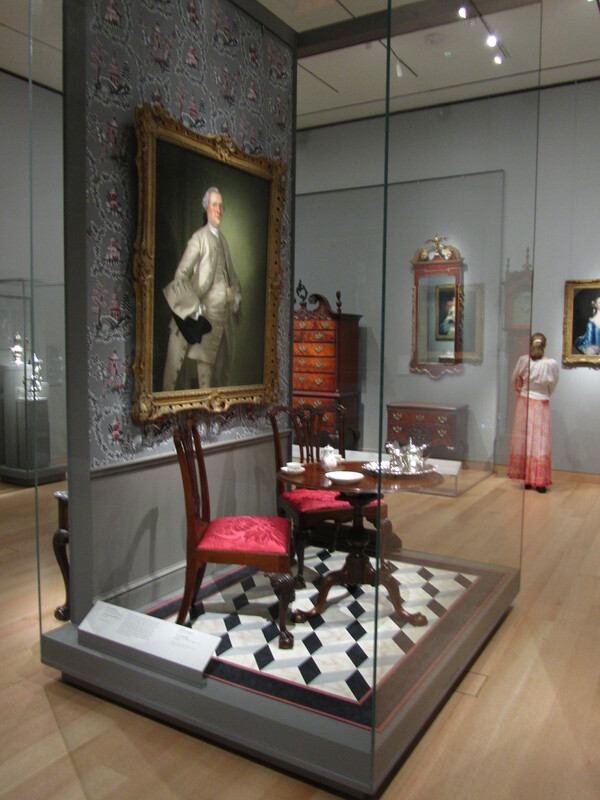 Regional Styles in the Middle Colonies gallery, the Art of the Americas wing, Boston MFA. Photo by the author. 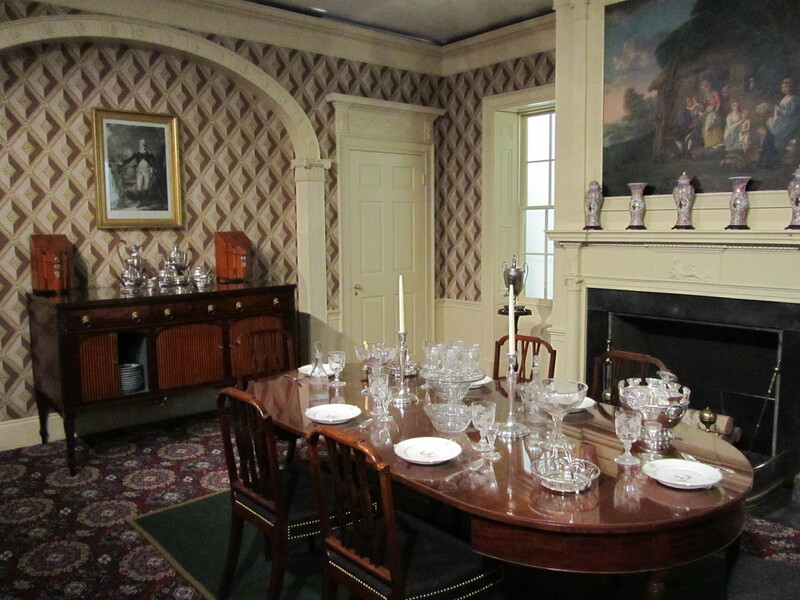 Oak Hill Dining Room installation, Art of the Americas wing, Boston MFA. Photo by the author. 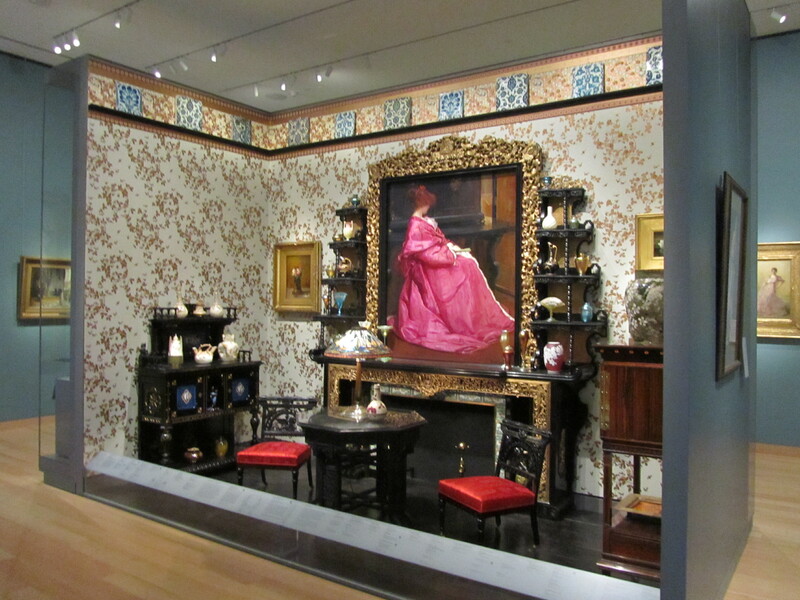 Aesthetic Movement gallery, Art of the Americas wing, Boston MFA. Photo by the author. 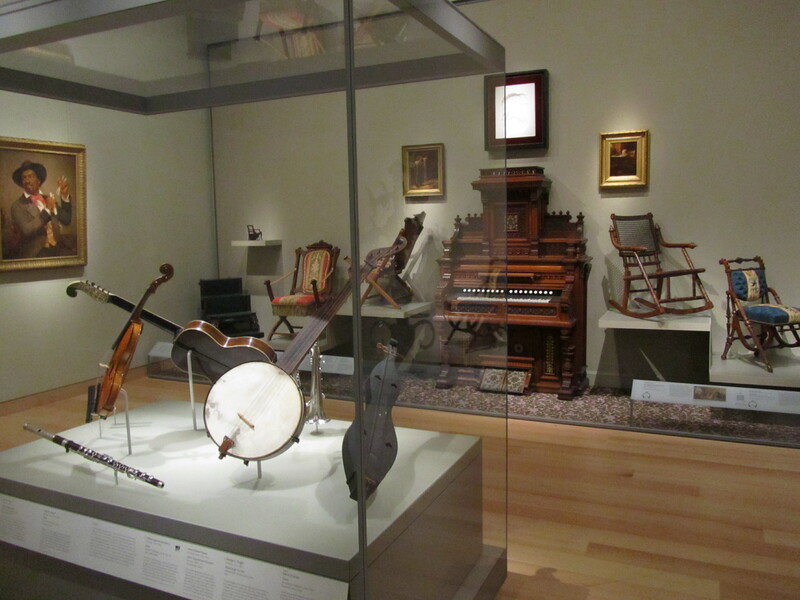 "Life in America: Entertainment and Innovation" gallery, Art of the Americas wing, Boston MFA. Photo by the author. 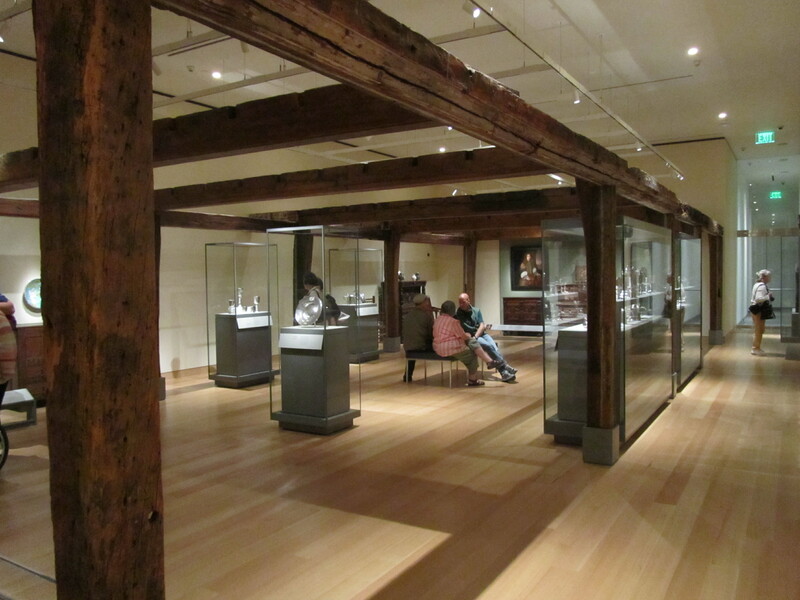 17th Century Manning House gallery, Art of the Americas wing, Boston MFA. Photo by the author. 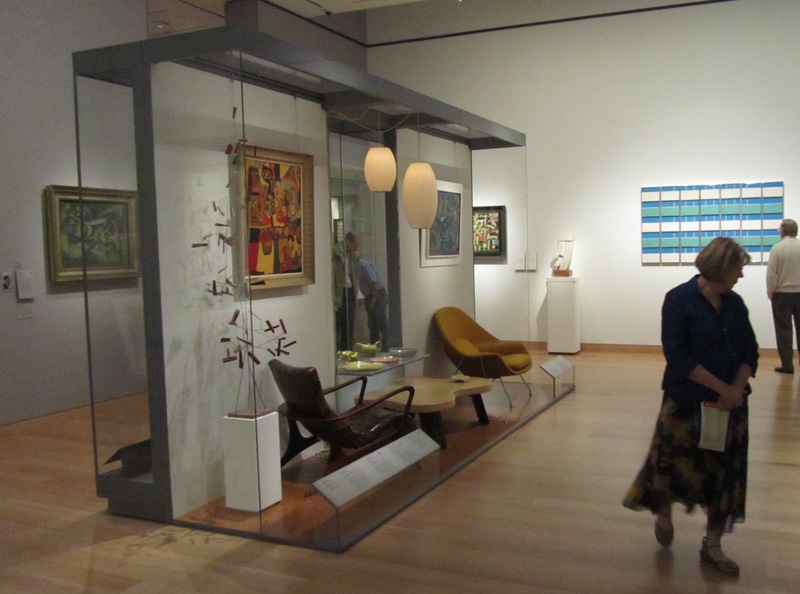 Art and Design of the 1940s and 1950s gallery, Art of the Americas wing, Boston MFA. Photo by the author. 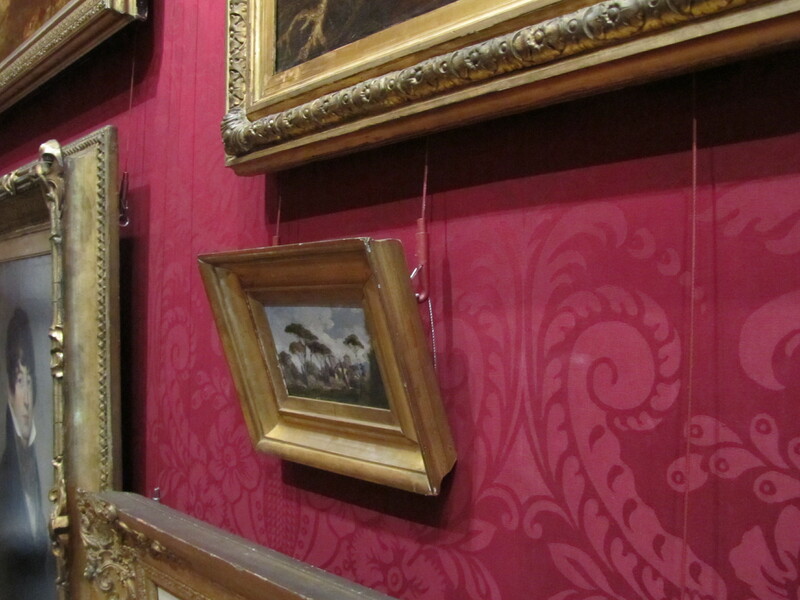 A visitor favorite, I learned, is the salon-style hanging of paintings against a dramatic red fabric wall. I was intrigued to see how the white marble sculptures “popped” dramatically against the delightfully-busy background. I might have imagined that they’d be “lost”, but instead found that the paintings instead were overlooked. On one hand I love being in this space, on the other I worry that it becomes more about installation than about the paintings within. 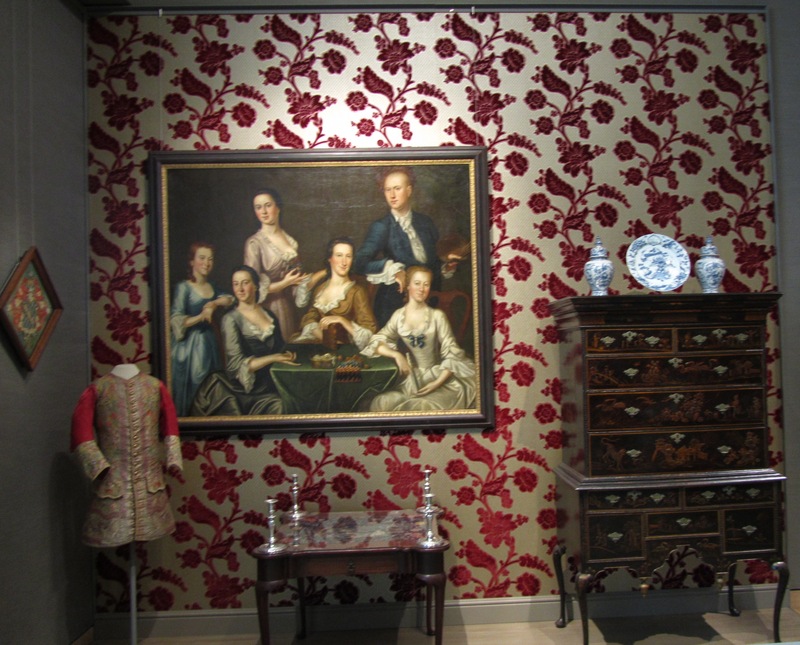 Salon: Americans on the Grand Tour gallery, Art of the Americas wing, Boston MFA. Photo by the author. As we explored the wing, in addition to absorbing the installation on the grand scale–density of object arrangement, flow of art historical ideas, specific selected objects–I was also trying to record and remember minor details that could inform our work here in Milwaukee. 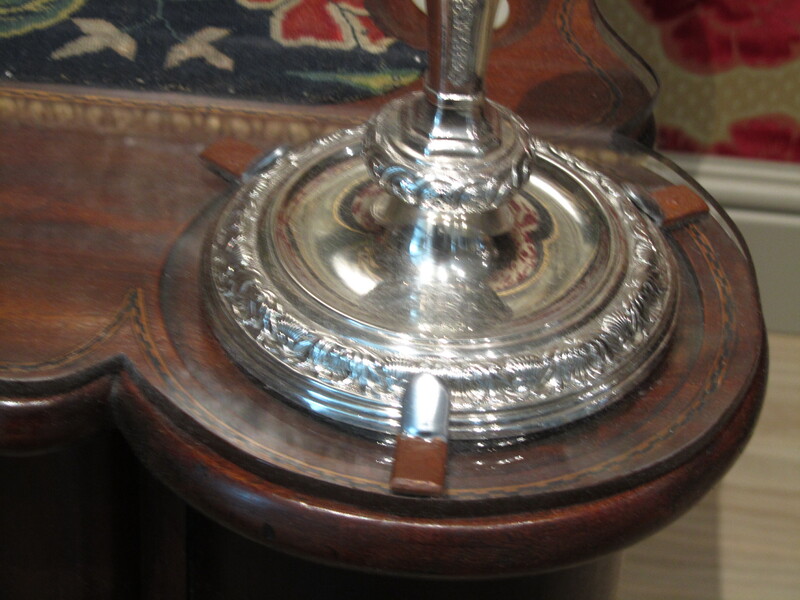 For instance, often objects were not housed within plexiglass vitrines, but were painstakingly mounted on top of furniture. Detail, American Renaissance gallery, Art of the Americas wing, Boston MFA. Photo by the author. Detail, Colonial Boston gallery, the Art of the Americas wing, Boston MFA. Photo by the author. Case, Arts of the New Nation gallery, Art of the Americas wing, Boston MFA. Photo by the author. Detail of a case, Art of the Americas wing, Boston MFA. Photo by the author. 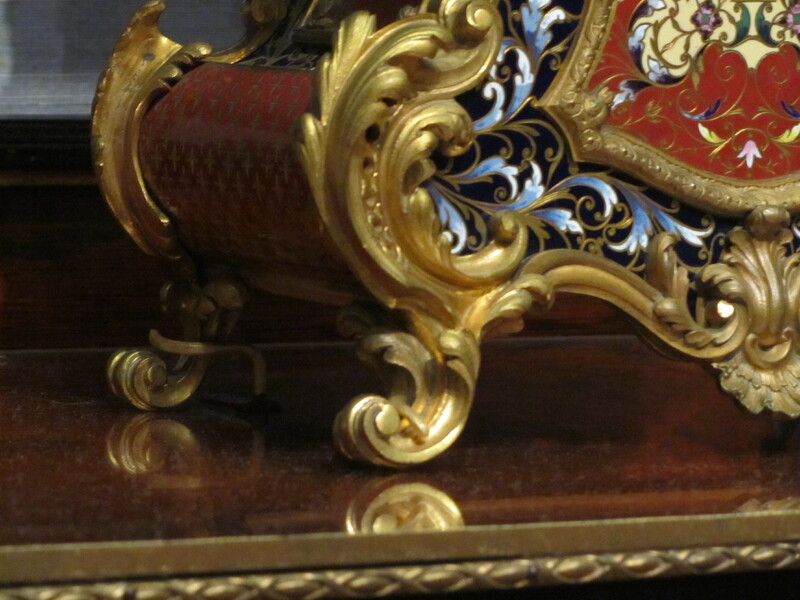 Detail, "America’s Contribution to Craftsmanship: Newport Furniture of the 18th Century" gallery, Art of the Americas wing, Boston MFA. Photo by the author. 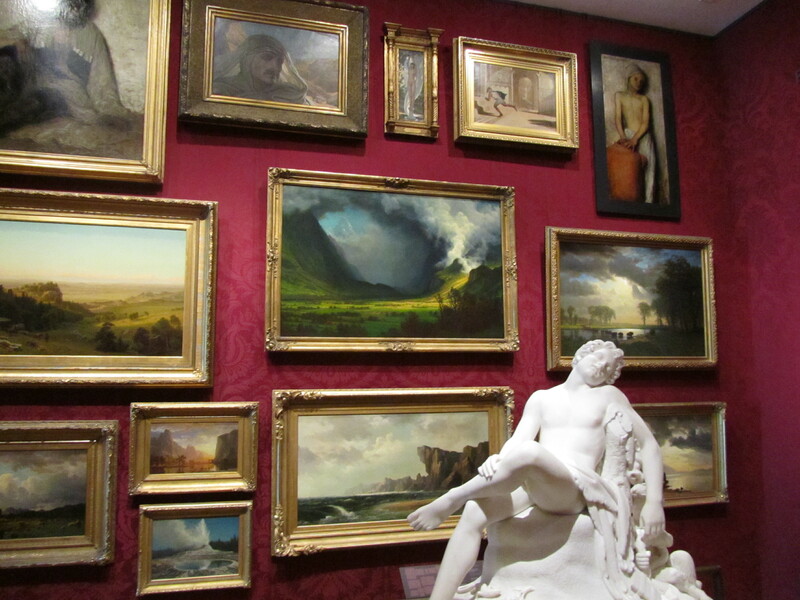 View of wall, Copley gallery, Art of the Americas wing, Boston MFA. Photo by the author. Detail, Salon: Americans on the Grand Tour gallery, Art of the Americas wing, Boston MFA. Photo by the author. Detail, John Singer Sargent gallery, Art of the Americas wing, Boston MFA. Photo by the author. 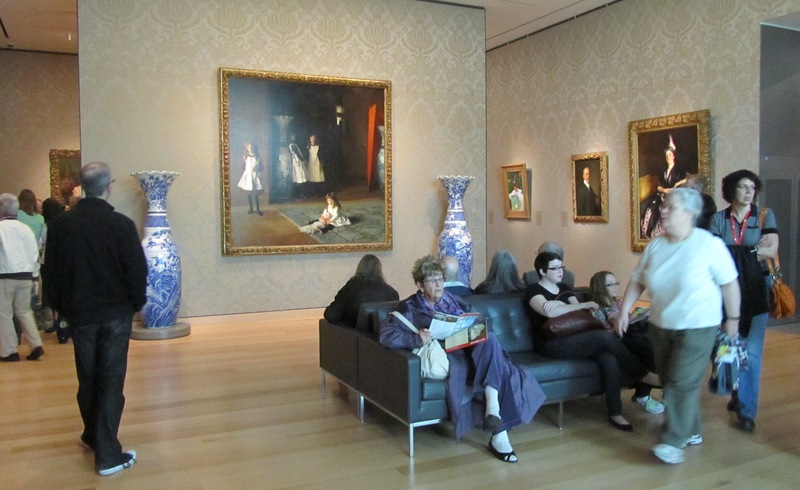 Gallery seating, John Singer Sargent gallery, Art of the Americas wing, Boston MFA. Photo by the author. 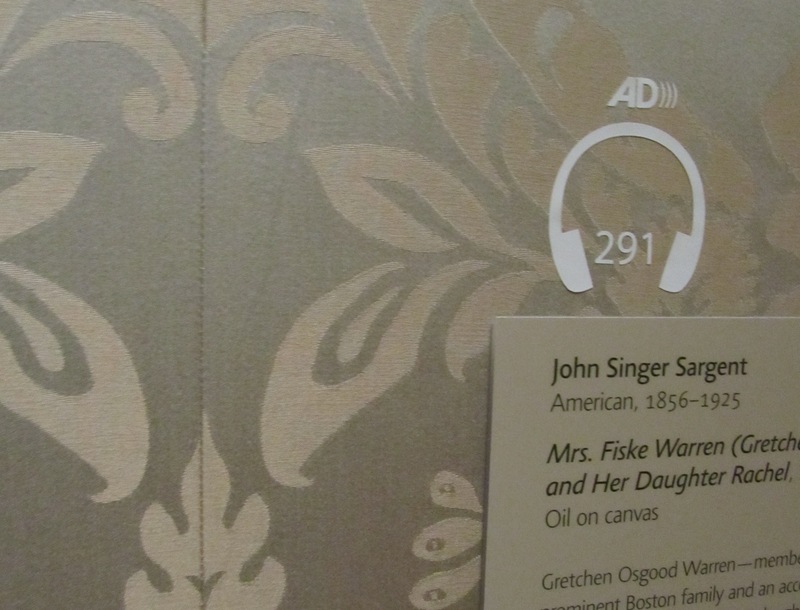 iPod touch multimedia guide, Art of the Americas wing, Boston MFA. Photo by the author. Our team walked away with inspiration for projects here at the Milwaukee Art Museum, both on the grand scale about major objects we’d like to acquire for our collection, and for little details about signage for the restrooms. 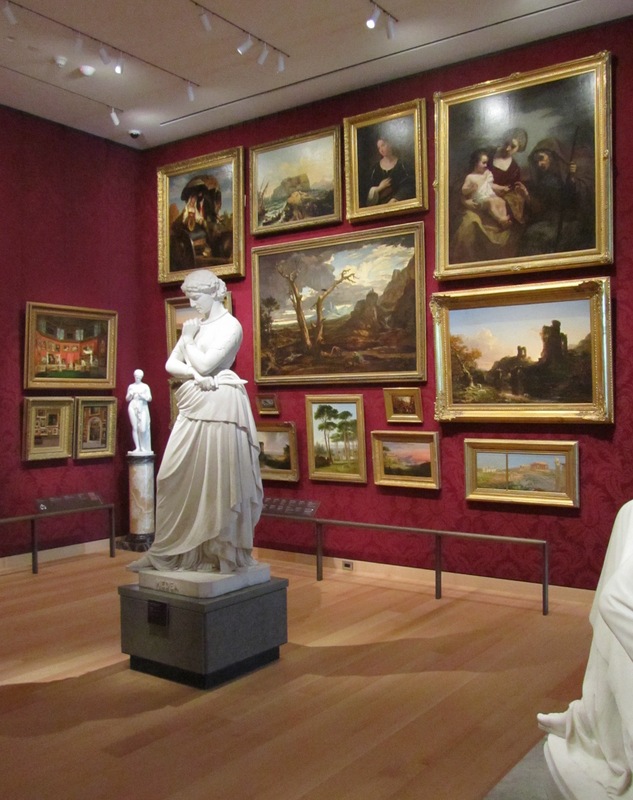 If you aren’t able to travel to Massachusetts to experience The Art of the Americas Wing in person, you can see many of the highlights and behind-the-scenes content on the dedicated website. 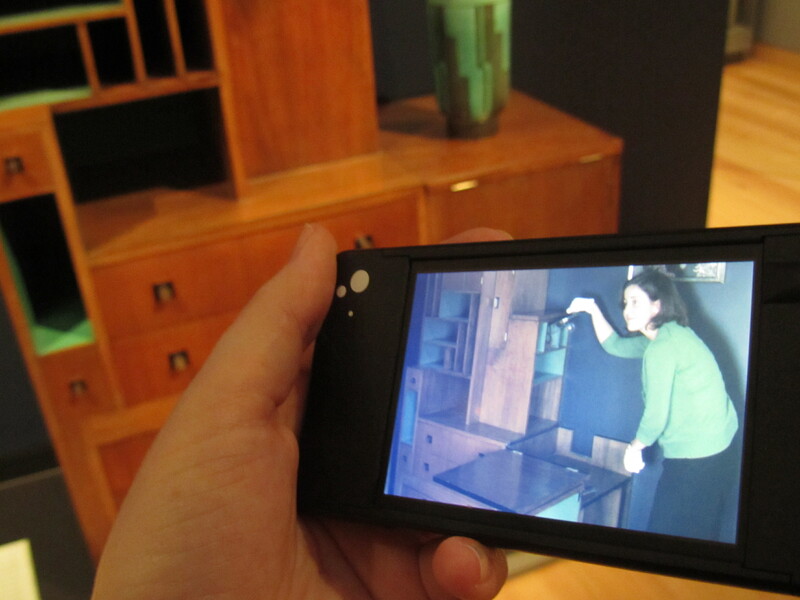 Enjoy, and stay tuned to see if any of these observations show up in future Milwaukee Art Museum installations! 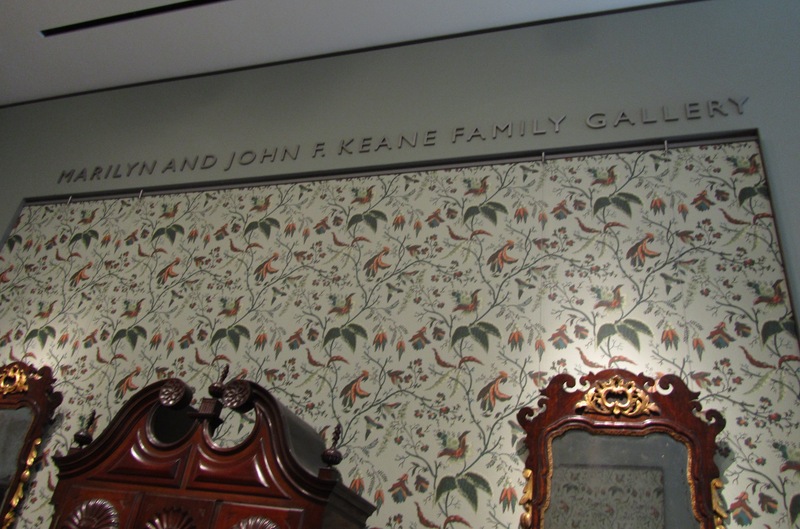 This entry was posted in Art, Curatorial and tagged American Art, Art Installation, Boston MFA. Bookmark the permalink.